This is what our world could look like millennia from now. Let’s be honest, we have our fair share of problems on planet Earth: war, floods, disease, poverty, and environmental destruction (the list goes on and on, really). But we also have a lot of things going for us: the Alcubierre Warp Drive, invisibility cloaks, the Mars rover missions, the discovery of the Higgs (again, the list goes on and on). How can we weigh all the exciting and inspiring scientific discoveries against all the destruction and chaos? We have an ever-expanding list of catastrophes that is coupled with (indeed, that parallels) our unrelenting march towards technological perfection. With such a coupling of unimaginable horrors and magnificent advancements, how can we possibly measure our status as a civilization? One of the easiest ways to answer this question is to form a scale that will allow us to scientifically measure our technological abilities against the technological possibilities. Or in layman’s terms, something that will allow us to measure our awesomeness against the total possible awesomeness. Fortunately, there are several ways of conducting such measurements. 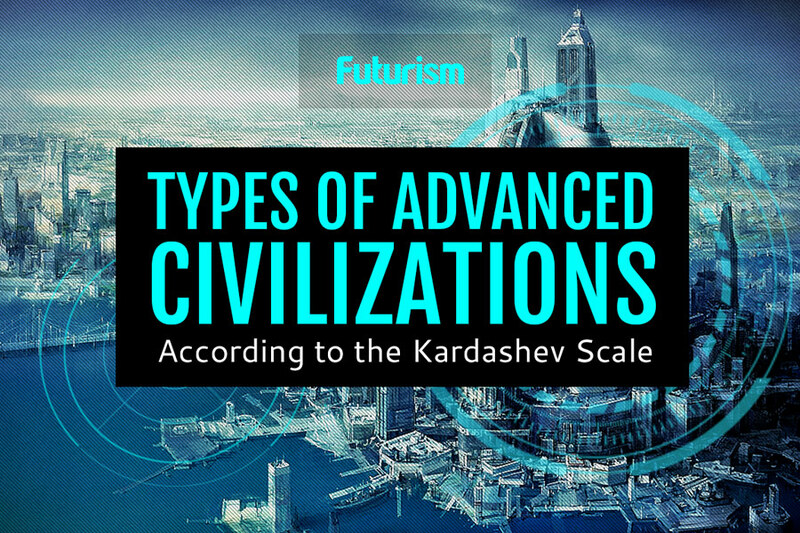 Essentially, to measure a civilization’s advancement, the Kardashev scale focuses on the amount of energy that a civilization is able to utilize. Notably, the amount of power available to a civilization is linked to how widespread the civilization is (whether it populates a planet, galaxy, or an entire universe). The Kardashev scale exists because of a Russian astrophysicist known as Nicolai Kardashev (bet you’ll never guess where the scale got its name from). The scale has a number of different categories (levels of classification). In recent years, scientists have expanded this scale to measure hypothetical civilizations—civilizations that are galactic, intergalactic, and even multiverse in nature. • Type 0: Subglobal Culture—This civilization extracts its energy and raw-materials from crude organic-based sources such as wood, coal, and oil. Any rockets utilized by such a civilization would necessarily depend on chemical propulsion. Since such travel is so pitifully slow, a civilization at this level would be (for the most part) confined to its home planet. Unfortunately, this is about where we are. We haven’t quite made it to Type I yet. It is a little disheartening that we haven’t even reached Type I yet. It would be nice to say something inspiring, like “given our lowly position, there’s nowhere to go but up!” Yet, it is entirely possible that some major catastrophe (be it natural or human induced) will send us spiraling back into the Stone Age. If we want to advance beyond a Type 0 civilization, we’re going to need to play nice with one another (and maybe invest in science and education; that helps too).